Download my example file here. Or you can use the two code sections below. // This does the ajax request (The Call). 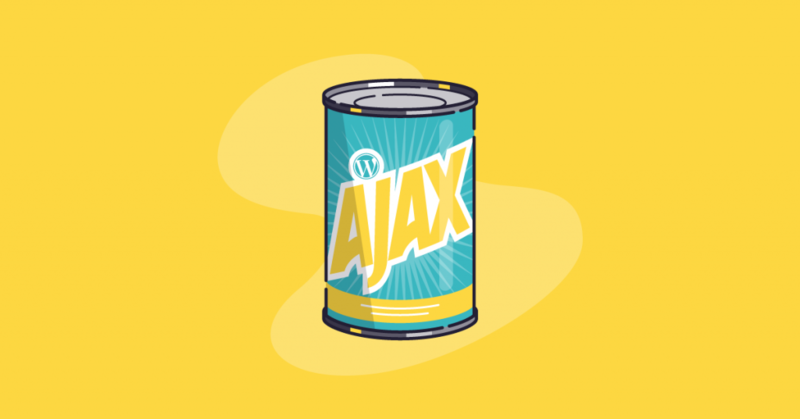 // This bit is a special action hook that works with the WordPress AJAX functionality. Copy and paste the downloaded file contents or the code sections above to your WordPress theme functions.php file. Login to WordPress and you will see a popup that says “Apple”. That’s it!! You just made your first WordPress AJAX call. It then sent the fruit variable to WordPress’s ajaxurl (admin-ajax.php) and told it to run the PHP function “example_ajax_request” above that you created in your functions.php. Then the fruit variable was passed to the “example_ajax_request” PHP function and processed, the result being “Apple”. I made a bunch of comments in the code above and in the example file as well. This should help further with understanding the process. Something I wanted to point out is the action hook for the PHP function. You will notice that the name of the function “example_ajax_request” is included in the hook. This is a good practice to remind yourself which “wp_ajax_” hook goes with which function. The hook has to have something after wp_ajax_ in order to make it unique, so it’s a good naming convention to just add the function name you’re calling. The above example will work in the admin area only. If you would like to use AJAX in the front-end you will have to add an extra action hook to your PHP code. If you would like me to create a tutorial on how to use AJAX on the front-end please let me know in the comments below. That’s it for this tutorial and I hope this helps!! Located in Southern California, Shawn Hayes is the lead developer for Share Web Design. His interest include coding, WordPress, hanging with his family, and all things design related. hi. i study very simple wordpress ajax cod. but It did not work. this code worked and i can learn about ajax in wordpress.